November | 2015 | Sonic Smash-Music! 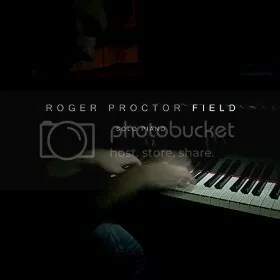 The pianist and composer of solo contemporary classical music known internationally as Roger Proctor has released his new album, “Field.” The record contains 11 original instrumental songs for an approximate listening time of 25 minutes. It has been published as an independent release without the influence or support of the corporate music industry. Elegant, textured, and bearing a refreshing balance of melodic minimalism and tonal complexity, “Field” by Roger Proctor stands as a fine example of taste and excellence in modern classical piano. UK-born Roger Proctor cites as personal favorites some of the world’s most innovative and multifaceted composers, including Ludovico Einaudi, Yiruma, Philip Glass, Michael Nyman, and Hans Zimmer. Proctor’s own “Field” album explores the expressiveness of his piano without additional tracks, synthetic sounds, or instrumentation, however the record shows the influence of these titans in terms of emotional range and creative diversity. Fans of piano not yet acquainted with the work of Roger Proctor will be enthusiastic to hear his innate sense of timing and natural flow. While a great deal of this stems from his initial composition, the execution of each song on “Field” suggests an intuitive connection with his music that cannot be transcribed with pen and ink. Roger Proctor’s “Field” is preceded by his 2012 debut release, “Summit,” which received much media attention and which Proctor also dedicated to his family and bucolic homeland. In addition to live performances by Proctor, music from “Summit” received public radio airtime on the BBC. Proctor has performed at well-loved venues like London’s world-famous Jazz Cafe, and at locales such as Lucerne, Liverpool, Manchester, Edinburgh, Strasbourg, Glasgow, and Oxford. His classical music training involves the National Youth Orchestra of Great Britain, music studies at Oxford University, and a focus on jazz piano at Goldsmiths University. His work with the popular alternative-rock group, Holton’s Opulent Oog, helped win the band great critical and fan acclaim for their 2008 LP, “The Problem of Knowledge” (9/10, New Musical Express) and for 2011’s “Love in the Mist,” which was praised by widely circulated magazines like Uncut and Mojo. “Field” by Roger Proctor is available online worldwide beginning 27 November 2015. The NYC rapper known as Tru Born has released his latest single track, “Pain Hurts” feat. Ermaine. 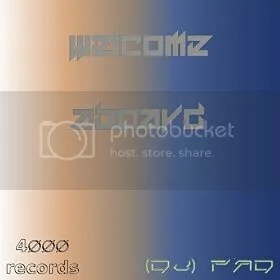 The single has been concurrently published with two B-side bounce songs, “Somebody Lied” and “Da A Team (feat. Brooklyn Benny).” Each of these new Tru Born tracks have been proudly published on the Frank Perry Productions Music Publishing independent record label, outside the support and influence of the corporate music industry. Bumping with bass, rattling with beats and showcasing the rhymes and lines of one of the East Coast’s most aggressive urban poets, “Pain Hurts” by Tru Born is a sure sign that the birthplace of hip hop is still on top. Tru Born cites as main artistic influences many titans of the old school. These include Michael Jackson, Kid ‘n Play, the Fat Boys, Run-D.M.C., and even members of his family. His new “Pain Hurts” single has a legitimate connection to the King of Pop, in fact, in the form of its featured vocalist, Ermaine. Ermaine Coleman’s unmistakable singing can be heard in the choruses to “Pain Hurts,” as well as in background vocals she recorded for Mary J. Blige and studio session work she did for Michael Jackson, himself. The rapper got his most significant introduction to the hip-hop stage while performing with the underground rap crew, Black Army, circa 1996. 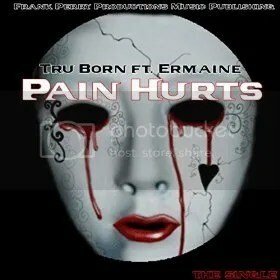 “Pain Hurts” by Tru Born feat. Ermaine is available online worldwide beginning 26 November 2015 (Thanksgiving Day, United States). 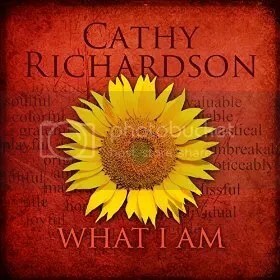 The rock singer known as Cathy Richardson has released her latest solo single, “What I Am.” The track is her most prominent solo release since 2006, an upbeat, catchy, incredibly empowering rock single with which fans of many music genres will identify and instantly love. Richardson is perhaps best known for her work as front woman for Jefferson Starship, in which role she helped bring about the legendary band’s first full-length record in over a decade, “Jefferson’s Tree of Liberty,” in 2008. The year before saw Richardson singing lead for Janis Joplin’s Big Brother and the Holding Co. alongside Joplin’s original band members on the Summer of Love 40th Anniversary Tour. Grammy nominee and four-time DIY Music Award winner Cathy Richardson has been called “the best female voice in rock today.” She has published no fewer than seven official releases with her universally loved group, the Cathy Richardson Band, the earliest record going back to 1993’s “Moon, Not Banana.” Another project for which she sings, the Macrodots, has been steadily adding to their loyal fan base since their 2010 LP, “The Other Side.” The Macrodots’ sophomore LP is expected to drop in coming months, also. Richardson’s new “What I Am” single has been turning the heads of audiophiles in every music genre since its appearance on 2 November worldwide. For this capital release Richardson signed to the popular Australian independent label, Chance MUSIC, which is rapidly gaining prominence at home and around the world. The idea isn’t about self-aggrandizement, however. Richardson’s goal for her music is to make life warmer for everyone, everywhere. “What I Am” by Cathy Richardson from Chance MUSIC is available online worldwide. Get in early, music fans. Be sure also not to miss the official music video (link provided below). 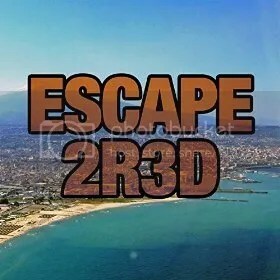 The composer and producer of digital dance music known as 2R3D has released his new single, “Escape.” The track has been published as an independent release without the support or direction of the corporate music industry. In addition to the already considerable skills of 2R3D himself, “Escape” features the talents of Collin Morgenstern. Part ambient, part trance, part dance pop and with still more elements of electronica and EDM sewn into it, “Escape” is easily one of the most creative and unique singles to arrive for the winter 2015 season. 2R3D’s “Escape” has been billed under various music genres, mainly indie dance and the relatively fresh nu disco category, but it will appeal to a much larger variety of music fans than only these. The track weighs in at a cool 90 bpm, less than 20 fewer than the average EDM single sold on Beatport, making it a relaxing single with an upbeat edge that manages to be surprisingly danceable in spite of its mellowness. Nevertheless, many audiophiles are sure to appreciate 2R3D’s “Escape” for its fascinating scope in terms of sonic texture and depth of tone. True to the artist’s name, “Escape” is very three-dimensional and can be as immersive as the listener prefers to enjoy it. On the surface, excellently executed and innovative vocals are more than enough to hold one’s attention for the duration of the single, but should one choose to listen beneath these, there are also waves, undercurrents and still subtler sounds moving down there, and these, too, can take the listener to seemingly countless faraway places, making the song’s title likewise very apt. 2R3D was born and raised in Colorado. At 18 years old he is already a performing DJ of electronica and digital music with live shows at more than 20 venues under his belt, a number to which he is steadily adding. An avid student of music and sound, 2R3D is currently attending the Art of Audio recording school in Denver, CO, where he will graduate with degrees in electronic music production, music business, and audio engineering. “Escape” by 2R3D feat. Collin Morgenstern is available online worldwide. Fans of nu disco, indie dance and electronic music shouldn’t miss it. The singer and songwriter of dance and reggaeton music known internationally as Nivelosky has released his latest single, “Suelta.” The track has been proudly published on the Direct Supply Records independent music label. Upbeat, pulsing, full of ritmo Latino and Caribbean soul, “Suelta” is a dance track picking up speed in North, South and Central American nightclubs and beyond. Nivelosky (often simply billed as Nivel) cites as main artistic influences fellow Puerto Rican reggaeton musicians such as Daddy Yankee and Yandle, as well as puertorriqueño rappers including popular Miami-born performer Pit Bull. Nivelosky’s own sound takes some of the most effective traits of music by these artists and uses them to make the new, fresh style for which he has become known. Asked to comment on the overall themes of his “Suelta” single, Nivel says that the idea is to “party, dance, to have good times and to let loose.” ‘Suelta’ means to let loose. “Suelta” is not the first official release from Nivelosky to achieve global distribution. It is preceded by his seasonal reggaeton single, “A Reggaeton Christmas,” which appeared on Direct Supply Records’ “That Time of Year” EP in 2013. His most prominent work before that was as a featured artist on Skee-lo’s Grammy-nominated “Club Song” single one year earlier. “Suelta” from Nivelosky on Direct Supply Records is available online worldwide. Be sure not to miss the song’s official music video, due out soon. 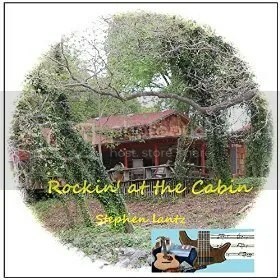 The guitarist and songwriter known as Stephen Lantz has released his latest instrumental single, “Rockin’ at the Cabin.” The track is the third single release from Lantz in 2015, preceded by his “High Sonority” and “Chasin’ the Sunbeams” tracks which appeared on digital music shelves around the world in April. Like his previous releases, “Rockin’ at the Cabin” has been proudly published as an independent single without the influence of the corporate music industry. With a groove that rolls like the ocean and power that builds like a tide, “Rockin’ at the Cabin” showcases Stephen Lantz as one of the indie music scene’s most expert guitarists and intuitive songwriters. Music by Stephen Lantz tends toward the true classic-rock sound, though “Rockin’ at the Cabin” has elements of alt- rock songwriting as well, making it somewhat akin to the early acoustic songs of Pearl Jam. Rooted in the active, vibrant acoustic guitar playing which has made Lantz’s single tracks stand out in a scene populated by synthetic instrumentation, Lantz’s songs have that unmistakably American tone which recalls the influence of country, folk and bluegrass on the classic rock of the ’60s and ’70s. Lantz has variously cited as artistic inspirations Peter, Paul and Mary, Pete Seeger, Cream, the Rolling Stones, the Beatles, the Eagles, Front Range, Hot Rize, Lester Flatt, Merle Haggard and Jerry Jeff Walker. These influences can be heard in every aspect of his music. “Rockin’ at the Cabin” has the same warmth and natural feel of the Eagles, the casual aggression of the Rolling Stones, and the unpretentious beauty of Peter, Paul and Mary. “Rockin’ at the Cabin” is a highly narrative piece of instrumental rock. Listening to it is an easygoing, yet upbeat jog through a sonic landscape that is almost palpable. Strident guitar notes dance like eddies of wind in trees. The music fan almost smells pine. Were the song’s title not suggestive of the forest, its exceptionally American character would still evoke images of grass in sunshine, wildlife at a full run, and other earthy, Midwestern vignettes. A humble music artist though one of the highest caliber, Lantz insists that his songs aren’t attempts at fortune and glory. “Rockin’ at the Cabin” by Stephen Lantz is available online worldwide. Get your share of musical enjoyment now.